Port Vale have permanently appointed Michael Brown as the club's first team manager. Port Vale took on Shrewsbury Town tonight in a League one clash where they lived up to their name. The Valiants recorded a 2-1 victory over Shrewsbury at Vale Park. A first goal from midfielder Sam Foley in the second half gave them a head start followed by another just three minutes later from Ryan Taylor. A goal from Louis Dodds in the 74th minute gave Shrewsbury their point. Final score: Port Vale 2 - 1 Shrewsbury Town. Police are appealing for witnesses following a series of disturbances at the Port Vale v Bristol Rovers football game on Saturday. Carragher played 220 games for the club between 1997 and 2003 and captained the side when the club won LDV trophy in 2001. 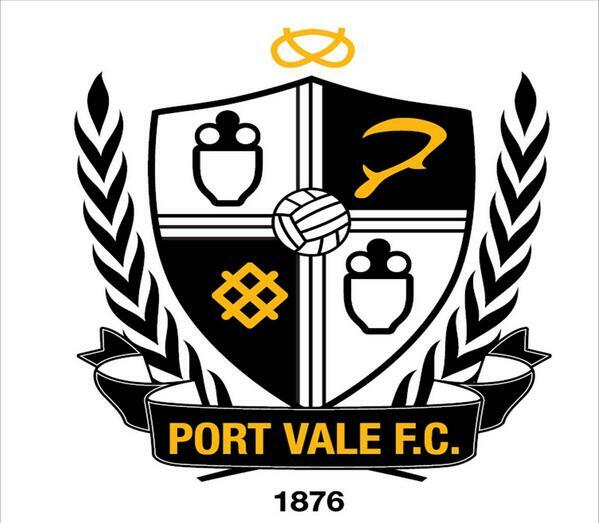 Statement: Ribeiro leaves Port Vale with a "heavy heart"
The Port Vale manager Bruno Ribeiro has resigned from the club after their Boxing Day defeat to Walsall. "The Chairman and I had a project, which sadly due to recent form left me feeling that I let the Chairman, fans and Club down. It is with a heavy heart that I tender my resignation with Port Vale Football Club. I would like to wish the Club all the best for the future”. "Sadly the project that we undertook is not working and that is demonstrated by today’s result. I have accepted Bruno’s resignation, which highlights his humility and professionalism and I would like to thank him for his service to the Club and wish him all the best for the future”. Kick It Out has condemned Port Vale's decision to overlook Jimmy Floyd Hasselbaink over fears of racist abuse from the club's supporters. Former defender Rob Page has been appointed as the new manager of Port Vale FC. Page, who first joined Vale as a youth team coach, has been acting as caretaker manager since former boss Micky Adams left last month. And after overseeing wins against Barnsley, Yeovil Town and Leyton Orient, the club has now signed him up until at least the end of the season. He said he was delighted with the position. I am really pleased. I had a conversation with the chairman and he has offered me the opportunity to manage the club, which I am very grateful for. I think the difference in the approach to games, especially at home, is there for everyone to see and long may it continue. This is a proud moment for myself and I would like to thank the fans and players for their support, which will continue to be important in the future. Vale chairman Norman Smurthwaite hailed his appointment as the "start of a new era" for the club, and praised Page for turning around the team's home form. Port Vale FC has sacked defender Daniel Jones with immediate effect after a clash which left captain Doug Loft badly injured. Loft will be left on the bench for rest of the season, having suffered a suspected broken cheekbone in what has been described as an "altercation" last week. Pictures of Loft's injuries were published in The Sun today, with reports suggesting Jones' sacking was directly linked to the incident. The club said it would not be commenting further.